Discovering one's personal sweet spot with respect to macronutrients is an ongoing challenge for many, with ranges varying according to whether one is a more strict carnivore dieter, a hypercarnivore, or those eating some variation of a ketogenic or low-carb diet. While a growing number of people are restoring health on a higher-protein, plant-free diet, it is possible that over time, as one recovers health, the needs for the higher protein could change. 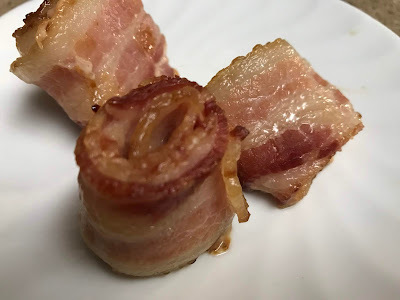 Likewise, I've read comments from people on the various diet forums, including the Vegan Recovery Group on FB claiming that they do not feel well eating larger quantities of meat. Is there a reason this may be the case? Is there a potential downside to consuming too much protein? As always, our recommendation is to learn to trust your true nature. Each individual will need to determine what type of meal plan helps them feel their best. And, this may fluctuate through the seasons, and through the years and decades of one's life. 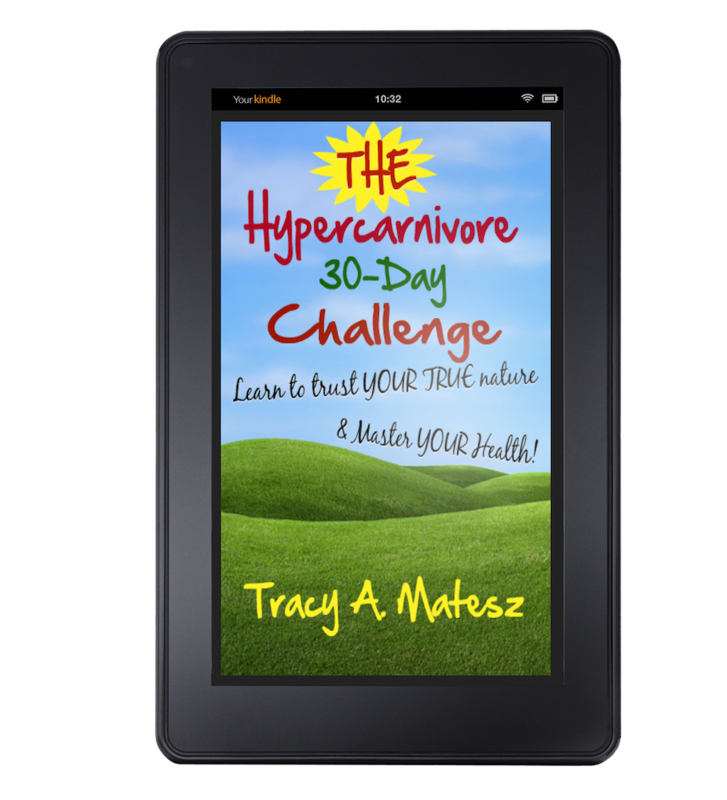 However, as we are innately tribal, it is easy to get caught up in the wave of diets as they trend upwards, such as the Carnivore and ketogenic diets gaining traction with a slew of people purporting health recovery and weight loss successes. We can feel frustrated if we fail to get similar results. Worse, we may have a subconscious ancestral imprint that if we are outed from the tribe, our very survival would be at risk. Having had a LOT of time to experiment over the years with many variations of low, moderate, and high carbohydrate diets with subsequent low to moderate and high levels of fat, and protein intake, I have now begun to 'read' my own symptoms more accurately. Paying attention to our own inner cues combined with keeping one eye on the research, Don and I are narrowing in on upper and lower limits of optimal protein intake, in combination with fats and carbohydrates. Another factor to keep in mind, especially for those who have been eating a low animal protein diet, the body will down regulate its production of hydrochloric acid, HCL. The lower HCL could in itself cause some who claim to not digest meat well lose a taste for meat all together. I have had this experience, so I know our tastes change. Taking a good enzyme with HCL ~ at least initially ~ can help. Some people have chronically low levels of HCL, and may need to take enzymes long-term. We like NOW Super Enzyme, which we order here on Amazon, but you can also check Swanson's, or a local store. Since we recently were expending a lot of energy moving everything we own around ~ and I mean everything, both in our clinic and our apartment ~ cleaning, rearranging, etc., we worked up quite an appetite. We were sweating off salt pretty rapidly as well. As a result, there were several days where we each consumed a higher than normal amount of beef. I was chowing down an nearly an entire one pound ribeye in one sitting myself, and sometimes having more beef again at a second meal! This higher than typical intake of protein prompted some symptoms in us, although what we each experienced was different from one another. (PDF) A Review of Issues of Dietary Protein Intake in Humans. Available from: https://www.researchgate.net/publication/7003706_A_Review_of_Issues_of_Dietary_Protein_Intake_in_Humans. Symptoms of excess protein intake were experienced by early explorers of the 'New World' consuming excess lean wild meat which led to "rabbit starvation syndrome," a condition in which symptoms include nausea and diarrhea followed by death within a few weeks. This syndrome occurs as a result of the "inability of the human liver to sufficiently upregulate urea synthesis to meet 'large' loads of protein." Bingo. Don experienced a few days of ongoing diarrhea after our increased intake of red meat producing a protein intake between 180 and 250 g per day. I was not sleeping well, and was having a growing, deep level of fatigue. We had a very physically and mentally demanding month, so the poor sleep was not allowing me to rejuvenate. My digestion was also off. I was actually experiencing lower abdominal bloating, something that I had not been experiencing as much, if at all, since transitioning from a high-fiber, plant-based diet. Worse was how my mind couldn't seem to shut down. I had excessive frontal lobe activity ~ literally feeling a business, like hyperactive dancing nerves in the front of my head! Song lyrics would pop in from out of nowhere, and multiple layers of thoughts and even crackling sensations like hot timbers ~ my nerves ~ became routine, and try as I may, I was not able to cool it down. I could both observe and experience this, and it was interrupting my peace of mind! While meditation can help, I know that when my diet is right, this does not happen. Anyone who has experienced chronic extreme reactions to low-blood sugar swings knows how uncomfortable the brain can get when blood sugar balance is off. The comfort of my brain trumps any other symptom I am trying to correct, so when I eat appropriately to restore a natural sense of mental/emotional balance, the rest seems to follow. We forget that our natural state is to feel good! As an energy healer, I know many people do not have an 'imprint' for feeling clear, calm and grounded. We have acclimated to living in a state of fight, flight or freeze on a daily basis, whether we are aware of this or not. And this is detrimental to our health. When I tracked meals on Cronometer, I realized that my protein intake was closer to 150 g of protein per day. I now understand that quantity to be more than my gut can absorb efficiently and more than my hard working liver could appropriately catabolize. I most likely lacked adequate enzymes to metabolize the higher quantity of protein, which may have caused the bloating. Poor digestion and absorption/assimilation means the body is not turning food into ATP, or fuel as efficiently, which can lead to fatigue. Plus, the excess ammonia and urea nitrogen can accumulate in the blood, contributing to a range of symptoms which I'll just call the 'blahs' ~ possible head aches, increased joint pain, skin break outs, and more. I wasn't experiencing all of these symptoms, although I was on the verge. I certainly was not feeling very chipper either. The symptoms can mirror 'adrenal fatigue' ~ a feeling of one's batteries being low, or out of charge. Another potential problem: if excess consumption of protein is left unchecked, and coupled with insufficient calcium intake, the body will pull minerals from storage as needed to maintain the tightly regulated, slightly alkaline blood pH and the urine pH. This could result in premature degeneration of the teeth and bones, including osteoporosis. When we first began to increase our fat intake while decreasing plant foods and total carbohydrates, (beginning May, 2017) I felt amazing. I was really on a high. I was very impressed with the marked difference in my moods, mental energy and focus, and overall sense of elation. As I said in this video, originally filmed in April, 2017, and published on our previous Basic Macrobiotic YT channel. I was "feeling joy for no particular reason!" This video is actually the fourth in a series of my 'look down memory lane, from plant-based to nearly plant-free.' I've linked all four videos in this series on this post here. Admittedly, this has been missing lately. Of course there could be several reasons for this, but I had a hunch that I needed to tweak my diet as well. Something was causing me to feel like I wasn't quite hitting my mark. Stress, poor sleep, and other factors can effect our energy levels. I've been working on my own habitual mental thoughts or default emotional states as part of my attempt to revive my feel-good, more uplifted energy. This is an ongoing process. Energetically, I think there are many other reasons so many people are experiencing poor sleep, increased anxiety, and other less than stellar mental/ emotional states these days. I have come to realize just how much we are also effected by the energy and thoughts of others, but that will have to be another post. Once Don began to research further the upper limits to protein intake, we realized that was exactly what we needed to learn at this juncture. As Don is pointing out in The Hypercarnivore Diet, there are upper and lower limits to everything. There is an upper and lower limit to each of the macronutrients. And each one of us will have to determine what those are, as no one can tell you this. You will have to experiment for yourself. The last couple days, I've increased my fat, decreased my protein, and have upped my total carbohydrates to slightly over 50g/day. Before adding dairy foods back, my total carbohydrate consumption had been quite low. And, voila, my feel-good self is back! Yogurt and milk both contain carbohydrates, and they are good sources of calcium. For those who enjoy and tolerate dairy, this can be the ideal food category to increase to help you find your own personal sweet spot, while delivering a healthier dose of calcium, for which the importance can not be under estimated. All of this is perfectly in line with the recommendations I made in The Trust Your True Nature Low-Carb Lifestyle. I am happy to say that I really now see more than ever that my recommendations were right on target. I suggest most people will feel their best maintaining a total carbohydrate consumption of 100 g at the most, and 75 g being the top end for many people, if not even a little less. Athletes and those desiring to gain weight may tolerate more than 100 g of carbohydrates per day. 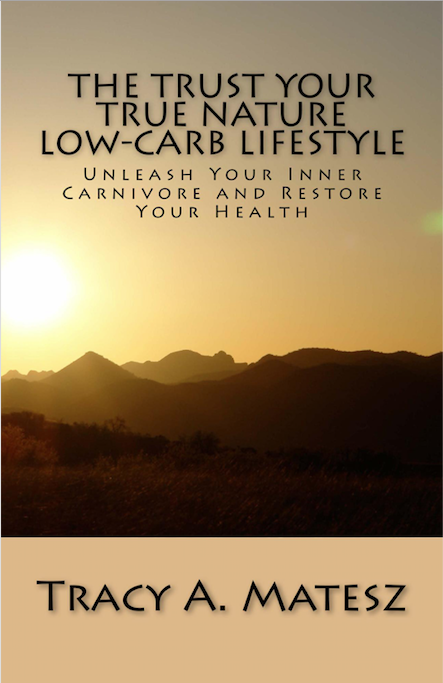 As an aside, I am planning to do some revisions to the book, and re-releasing it as The Hypercarnivore Diet Companion Guide. Subscribe at www.strongspiritwoman.com for your FREE copy! If I take myself as an example, my upper limit of protein will be roughly 100g, or 1 gram per pound of body weight. I would say up to 110g of protein per day should be my maximum, unless I am really burning energy on any given day. The upper limit of fat would be similar, around 110 g per day. 110 grams of each fat and protein comes to 1430 total calories. If I require more than that, I need to fill in with carbohydrates. My primary choice of carbohydrates is dairy foods, because I find them quite satisfying, and they are rich sources of calcium and potassium. A little fruit would be my next choice, especially during the summer. Berries and freshly whipped cream is a great dessert. 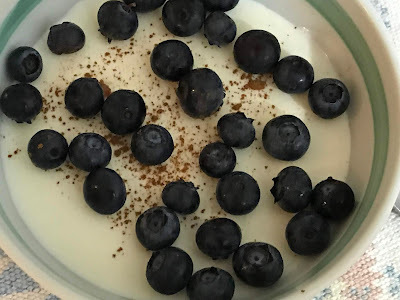 For those newer to the hypercarnivore diet, berries + whipped cream can provide a satisfying juicy sweetness that one may miss when initially cutting way back on carbohydrates. Seasonal (and ideally local) berries, melons, and citrus, plus soaked and rehydrated dried plums or raisins are my personal top choices. Low-sugar fruits are an even better choice, depending on one's tolerance. This would include cucumbers, tomatoes, olives, and avocados which are botanical fruits. I prefer not to support the practice of relying on imported tropical fruits, including bananas. Here are some great fruit salad recipes. Blueberries, fresh whipped cream, and coconut flakes. 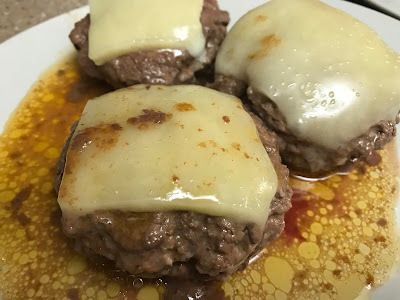 a couple good recipes on DietDoctor.com. 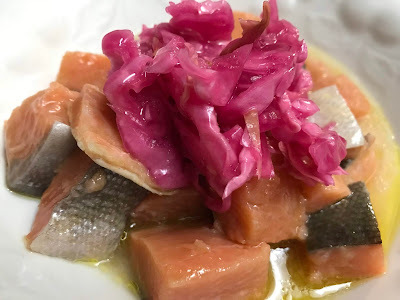 Easy to digest, well tolerated, fermented vegetables, vegetables cooked in fat, or lower-carb 'fruits' such as cucumbers and tomatoes, and softer lettuces would be my next choice, possibly adding seasonal squashes. These are foods we were eating during the earlier transition to a hypercarnivore diet, some of which we may now begin to re-introduce, a little at a time, to test tolerance. How I stack my meals makes a difference as well. If I eat enough protein and fat earlier on, I can eat 'ad libidum' and not over consume calories. If my meal timing is off, I tend to be more likely to overeat later in the day. After following a hypercarnivore diet for 1.5+ years now, I have observed changes to my preferences, from a higher fat diet during our initial transition to a lower-carb diet, post whole-foods, plant-based low-fat diet of 5+ years, to now preferring more leaner meats. I still find that hitting my mark of the right balance of protein + fat makes a difference, yet this can vary day to day, or week to week. I still advocate a 'trust your true nature' approach. I have subtle cravings, which just cause me to feel or prefer more desiring a higher fat, or a higher/leaner protein meal, which I trust and follow with good success. I think there needs to be adequate fat to have a meal be more sustaining for a longer period. I tend to start my day with fat, and a little added protein. 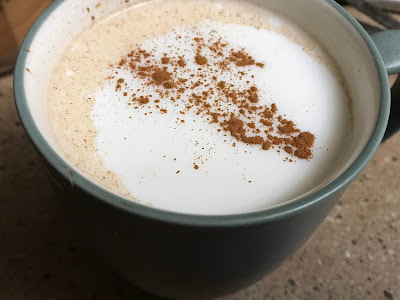 I love having a hot beverage in the morning, and most of the time that is a little coffee. I've been experimenting with adding powdered collagen, and an exogenous ketone supplement, which I will post a review about soon. To shorten my too-long posts, with too many pictures, I've added a video showing our recent meals, below, for those interested. hence having either milk, or eggnog first thing. We typically eat a lighter first meal, and our main meat/higher protein meal as our 'lunch' which is our second and only other meal for the day. We eat a meat + milk products diet, filling in with plant foods when and how we feel drawn to do so. As one commenter mentions, upping the carbohydrate content allowed for improved assimilation of an even higher protein diet. Dairy contains carbohydrates, as do plants, so for some, it may be worth investigating upping the carbohydrate content slightly to see if that helps you to better thrive. These days, after decades of propaganda promoting an increasingly more plant-centered diet, eating bacon and bacon fat, and more fat from butter and cream ~ rather than all those super foods and dark leafy greens ~ may seem counter intuitive. However, these foods contain important fatty acids, and Vitamin A and D, plus a good source of feel-good fuel! Bottom line, despite what my own mind once believed, I feel my best when I am fueled on fat, and I find the animal fats the most satisfying, in combination with a high protein diet. Each person will have to find their 'sweet spot' as to their own personal upper/lower limits of protein + fat. The flexibility of our Hypercarnivore approach allows for the addition of some plant foods, based on individual tolerances and preferences. Many people are reluctant to give them up. I still advocate trying to go without any for one plus month to see for yourself how they may be impacting your health, adding them back slowly. 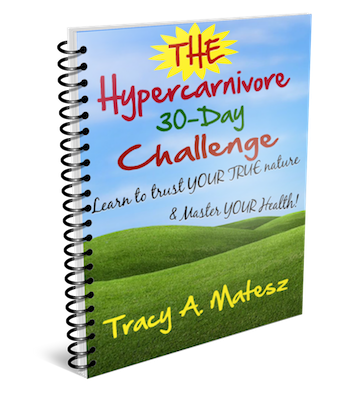 For those interested in trying a Hypercarnivore approach, subscribe to my website to get a FREE copy of The 30-Day Hypercarnivore Health Challenge, ~ 25 page e-book. Our Hypercarnivore diet is a flexible, non-dogmatic approach to eating. 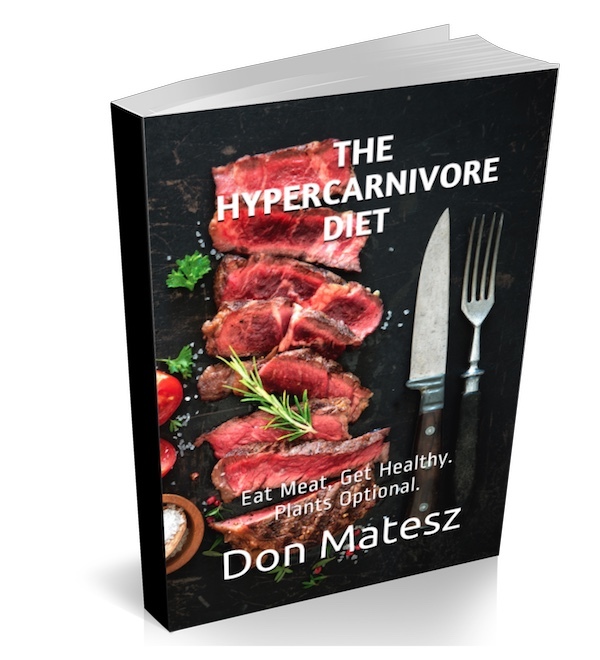 Read more about why this is a valid approach in Don's book, The Hypercarnivore Diet, now available on Amazon and Kindle. The above video shows our recent meals, plus plus. Learn to pay attention, internally to what you are drawn to, and to the symptoms that manifest. You will find your sweet spot. Just be patient with yourself. Sometimes you have to make a lot of mistakes first! Or go to 'extremes' to find your upper and lower limits to the various macronutrients, or individual foods. I'm still discovering my sweet spot, as this is a dynamic, ever-evolving process. Part of the grand adventure we call life. I am reading your (Don’s) book The Hypercarnivore Diet, and thoroughly enjoying it! By far the best resource I have come across, and it has also cleared up many myths and misunderstandings. I have been working directly with Paleomedicina Hungary, and they enforced a diet that felt somewhat restrictive (no more than 1g/kg protein per day, 2:1 ratio in grams of fat to protein, no dairy etc), whereas your approach is more intuitive, logical and evolutionary correct. My ancestors have been consuming dairy for generations, so it didn’t resonate with me that it would cause gut permeability or cancer as they are convinced of. Anyway: I noticed that you advise against protein intakes of more than 2-2.5g/kg lean bodyweight - citing the Bilsborough/Mann study. This is contrary to both the studies by Dr Jose Antonio that you cite in your Bodybuilding Diet section of your site, and also the fact that bodybuilders traditionally have consumed protein intakes in the range of 3+g/kg for months and years with no apparent ill effects. I have also eaten a meat-based diet for the last couple of years, and recently leaner meats (and some dairy) upwards of 3-3.5g/kg bodyweight (of protein) in order to drop bf% - with no ill effects, mentally or physically (digestion and bowel movements). The Leangains Diet of Martin Berkhan is based on this premise (55-60% of calories from protein) (bestselling book on Amazon, and also the guy who put 16:8 intermittent fasting on the map). Then we have the almost superhuman Dr Shawn Baker who has provided the Carnivore approach to the masses, displaying feats of strength and endurance that few can emulate, eating 4-5lbs of meat on a daily basis (ribeye being his favorite cut of meat). Looking at it from an evolutionary standpoint, you refer to the Inuit - with their access to animals with fattier meats than is normally available on other continents - and even them eating in excess of this 2.5g/kg limit. I know several Sami people (North of Norway) who consume 70-80% of their diet as reindeer meat, which is reknowned for being lean. It doesn’t make a lot of sense that hunter-gatherers would throw away the leaner cuts of meat just to get their fat:protein ratio up. I believe that both kidney and liver are capable of upregulating their function in accordance with protein intakes, but there is a scarcity of research elucidating exactly by how much and it may very well be that there would still be an upper limit - just slightly higher than the 2.5g/kg...but then again, protein toxicity could manifest itself on a chronic and not acute basis, so I’m not gonna make any claims here. Hi, thanks for your reply. Don wasn't sure where your comment to him was, so he had not seen it. He is looking in his spam folder to see if it was there, and if so, will email a response where he will have access to his e-book to reference. I asked Shawn Baker if there were known toxicity levels w/ too high protein, and he said yes, and cited Stephenson as an example (the explorer/researcher who lived on the high protein/fat diet w/ the inuits, who they later observed in a hospital. Don was mostly trying to point out that there can be an upper end of tolerance, although what that is for each will vary. Getting enough fat in ratio to protein may be the difference b/w having symptoms like super watery stools, which happens to Don, or not. I can eat leaner meats, incl. more chicken breast than Don, and feel better for it. I may eat as much as 150g, and sometimes more of protein, although I weigh 105#. Anyway thanks for your observations. Glad you are enjoying his book! He spent a lot of time, and I mean a lot ~ researching, contemplating, editing that book. I'll be working more on my blogs as soon as I can, but have been revising my own website, and just completed a book, non-related to food. Ok, update, Don is still looking for your message to him. Only found a FB request. Thanks for getting back to me so quickly :) Yeah, it seems as if my e-mail didn’t go through - his spamfilter, probably on the ISP side, is way aggressive. The don@freerangestrength.com came up as inactive, and info@ has some sort of block. Could be a good idea to just get a gmail-address so you don’t lose out on valuable feedback. Anyway, I agree that the tolerance is probably very individual - I have Viking ancestry, and the Sami people I know are also Nordic/Scandinavian - we would have survived and thrived on both leaner meats and fish for centuries and millennia so there are some adaptations for sure. I also think the difference lies on including some dairy and (small amounts of) fruits. I tried the zero-carb carnivore approach for a while, and had severe hypoglycemic episodes and mood swings (my gf would tell me to just have some carbs haha). 50g of carbs difference, but now I tolerate way more lean meats than when I ate nothing but meat. "Your digestive tract can only absorb amino acids from whole foods at a limited rate (~5-8 g/h=120-192 g/d). Also, your liver can only deaminate proteins to produce urea for excretion of excess nitrogen at a limited rate. Because of these limits, protein intakes in the range of 200-400 g/d can have adverse effects, including nausea, diarrhea,etc...."
Note that I wrote "can have adverse effects," not "will certainly have adverse effects." I am notifying the reader of a possible event, not a certain event. In the Bilsborough/Mann paper, they cite studies indicating that the gut assimilates amino acids from different whole food sources at different rates: whole milk 3.5g/h, pea 3.5 g/h, cooked egg 2.9 g/h, raw egg 1.4 g/h, soy 3.9 g/h, pork tenderloing 10 g/h (but the methodology of that study was weak casting doubt on the figure), isolated whey 8-10 g/h, and isolated casein ~6 g/h. Thus, bowel tolerance for protein probably depends on type of protein consumed. In the Antonio studies, the extraordinarily high protein intake was provided primarily by whey protein. Bodybuilders also commonly get a high proportion of their protein from whey or casein isolates. This may account for a lack of reports of nausea or diarrhea in these groups. I believe Martin Berkhan also uses and recommends a large intake of dairy and whey protein in particular. This may account for a lack of reports of bowel intolerance among people who closely follow his example. Probably the gut and liver adapt to higher protein intakes over time in individuals who sustain a chronic very high protein intake. In addition, all human populations vary in every characteristic with a distribution a Bell Curve fashion. Thus some have a much higher and some a much lower tolerance for protein, while most lie in the normal range between these extremes. It is important to note that all diets act as selection mechanisms. Just as basketball selects for tall individuals, high protein diets select for (favor the success of) people who have a high need or tolerance for protein. Therefore it is expected that some of the people who are most successful on a hypercarnivore diet will be people who best tolerate very high dietary protein, who are outliers on the protein tolerance spectrum. Shawn Baker is likely one of these individuals. Inuit and Sami are not only exposed to high protein diets from a very early age (favoring individual adaptation) but they all come from lineages that have thousands of years exposure to diets rich in leaner meats. They likely have Naturally Selected genetic adaptations that increase their tolerance for very high protein diets. I had to write the book to help the novice who may have no individual adaptation to a high protein diet, and may even have a lower genetic adaptation to high protein diet (i.e. would be an outlier on the opposite side of the Bell Curve to Baker). The purpose was to enable a novice to troubleshoot in case he or she experienced nausea or diarrhea. In such cases, he or she needs to know that he or she might be exceeding his or her current protein tolerance (which may itself vary with time). That's why I wrote: "Note that the upper numbers are estimated maximum tolerable levels, not targets. Your needs and tolerance may vary. Follow Nature which guides you by your senses of hunger, taste, and satisfaction/dissatisfaction." "I also think the difference lies on including some dairy and (small amounts of) fruits. 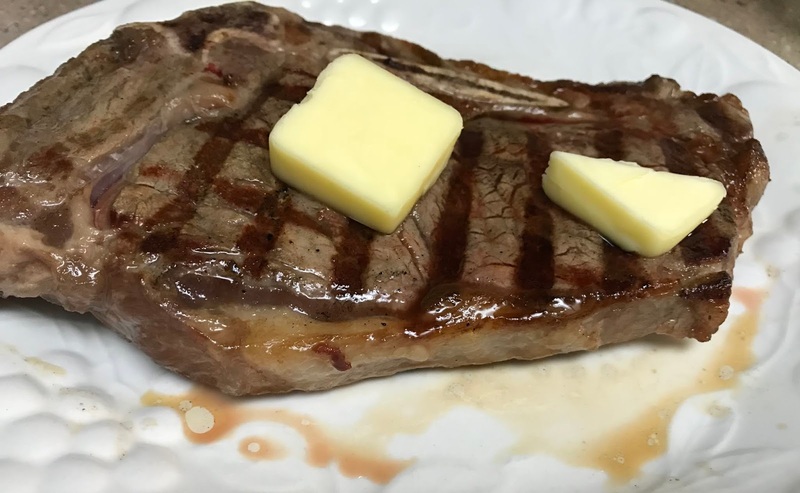 I tried the zero-carb carnivore approach for a while, and had severe hypoglycemic episodes and mood swings (my gf would tell me to just have some carbs haha). 50g of carbs difference, but now I tolerate way more lean meats than when I ate nothing but meat." This is why I didn't promote 100% carnivore as ideal. Note that Berkhan also consumes and recommends a large amount of fruit (I saw an IG post in which he suggest he consumes 4-5 pieces of high carb fruits daily) and some other carbohydrate (I am not sure the extent). The Antonio studies also allowed significant carbohydrate intake (>100 g/d). This probably increases lean meat and protein tolerance. It may be that at least in some people as the dietary carbohydrate intake decreases (i.e. closer to 100% carnivore), the protein tolerance decreases, and vice versa. This might relate to a reduced demand for gluconeogenesis by eating some dietary carbohydrate, this reducing the demands on the liver. Thanks, that was a very insightful response, and I couldn’t agree more :) As for Berkhan, he does not use whey protein but only recommends it in a 20-30g serving if training fasted - but he does use large amounts of dairy (cottage cheese and quark) for the protein intake, yes. His personal diet this year when he got back down to 6% bf (he does it every year) was around 80g of carbs from fruits (and some from dairy) - so that might definitely be a factor, the GNG angle being highly interesting. At the end of the day, what you are recommending in the book - experimenting for yourself - is a message that should really be conveyed by more authors and experts, so I applaud you for that :) The individuality angle is hugely underrated, but if people understood it then there wouldn’t be that eternal search for the "Perfect Diet" (and no one trying to sell products or books claiming they have found it). Oh - and you have inspired me to drop my protein and increase my fats again, from a cost perspective eating all of that lean meat was becoming hard on the wallet...but I have looked at the DIT/TEF and satiety angle that this high protein approach has been promoted from, and in a mixed-meal setting it is only a 50-80kcal difference between something like 200g and 350g, not the 30% or 200+kcals fantasy figure that some are claiming - whereas satiety seems to have a ceiling effect around a certain protein intake (200-250g for me, which is right around the 2-2.5g/kg range). Regarding Berkhan and whey, my mistake and apologies, I assumed his protein fluff stuff was made from whey protein, because I have made a similar thing in the past from whey and gelatin. Perhaps quark is the base. Individuality should be a basic principle of all medical sciences, of which both nutrition and exercise are subsets. The fact that all human characteristics distribute along a Bell Curve is well established. Thus while we can assert basic truths for the species (e.g. humans are evolved carnivores), the ideal application of this truth will vary from individual to individual. And I believe that in the case of diet very often if not always the best guidance to the individual optimum comes from the highly evolved senses of hunger, taste, satisfaction, and digestive function. Similarly there exist basic principles of exercise science, but application must be adjusted to the individual. I agree with your assessment of the limits of the protein satiety effect. Unfortunately the human mind seems prone to the basic logical error "if a little more is good, a lot more must be even better." The same error is made in the other direction by people who restrict protein and pile on fat to chase ketosis: if higher fat is good, than even higher must be better. Thus my chapter attempting to break people of the obsession with ketosis. To illustrate my point, you appear to have discovered for yourself that your sense of satisfaction tops off at a certain intake of protein. I personally have a limit of enjoyment for very lean meat, and find I need a certain amount of fat simply to enjoy eating. I believe distaste or lack of taste for the food may be the body's first way to signal a macronutrient imbalance. It has taken me some time (30+ years of experimenting with diets) to get aligned with this. I wish someone had been able to demonstrate the efficacy of this senses-based approach to me when I was 20. Like many others of intellectual bent, I have in the past been even proud of my ability to eat whatever I thought was ideologically (theoretically) ideal regardless of how it tasted to me. Mind over matter, you know. As I wrote in the book, it was realization of how anti-evolutionary (anti-Natural) this perspective was that woke me up to my error. BTW my protein intake generally hovers between 150g and 200g, generally around the mean between (i.e. ~175g), at a bodyweight of 155lbs. Anyway, thanks again for the comments and for recommending the book to others. Remember, biology always trumps ideology. Stay alert to your senses and you get the benefit primal wisdom accumulated in the organism over millions of years of evolution. "At the end of the day, what you are recommending in the book - experimenting for yourself - is a message that should really be conveyed by more authors and experts, so I applaud you for that :) The individuality angle is hugely underrated, but if people understood it then there wouldn’t be that eternal search for the "Perfect Diet" (and no one trying to sell products or books claiming they have found it). "It may also be my confirmation bias kicking in, as I have arrived at the exact same conclusions that you have, but after 20+ years in the business your book is easily in my top 5 of all time best reads and I will recommend it to everyone who cares to listen :)"
"Like many others of intellectual bent, I have in the past been even proud of my ability to eat whatever I thought was ideologically (theoretically) ideal regardless of how it tasted to me." Exactly the same as my own journey, going through the perfectionist and trying to figure out the "perfect diet/training program" to realising it is about learning how to tune into your own instincts...although getting experience is often needed to know what does and doesn’t work, so I wouldn’t be where I am today if I didn’t make all those mistakes. Contingent upon your own "how-to-eat less" inclinations, particularly in case you're socially arranged, finding an amigo or even a gathering might be the very establishment of your prosperity. Your very own missing connect to weight loss achievement.